By now you’ve surely heard about the issues some third-party AU plug-ins had with El Capitan (10.11). It’s important to note that not all third-party AU plug-ins had problems with El Capitan, and most of those were fixed by the 10.11.1 update. The other thing to know is that even after you update to 10.11.1, plug-ins that didn’t validate before may have to be manually rescanned before you can use them. 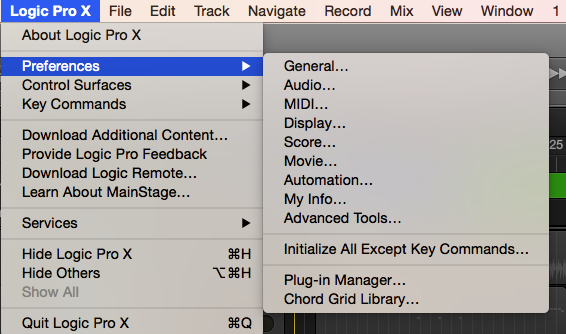 Open the Plug-In Manager from the Preferences sub-menu under the Logic Pro X menu. 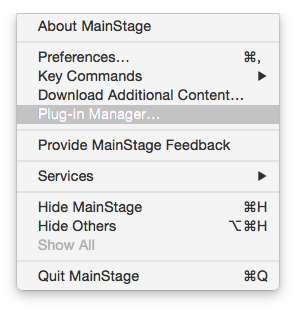 The Plug-In Manager is accessed directly under the MainStage menu in MainStage. Select the plug-ins that say “Crashed Validation” under the Compatibility column in the Plug-In Manager. If you click the name of the column, the plug-ins will be grouped by their status, making the ones that didn’t validate easier to find and select. 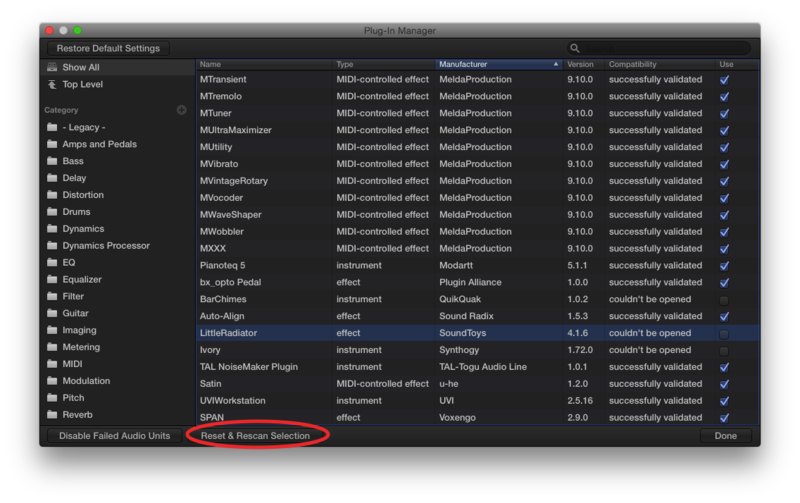 Or, you can command-click all the plug-ins that need to be validated. Once you have selected the plug-ins to be rescanned, click the “Reset & Rescan Selection” button at the bottom of the window. Of course, consult with the vendor of any third-party plug-ins for more information. Several vendors say they are still not supporting El Capitan yet, even though I’ve seen reports by people who say they have upgraded to 10.11.1 and those manufacturer’s plug-ins work fine for them.